These humid summer months make mowing a lawn an arduous task, and District residents with grass more than 10 inches high could be slapped with a $500 fine. But not everyone is physically capable of mowing a lawn or can afford to pay someone else to do it. Thankfully, there is some help out there. Starting Saturday, senior citizens in all D.C. wards are eligible to have youth mow their lawns for free. 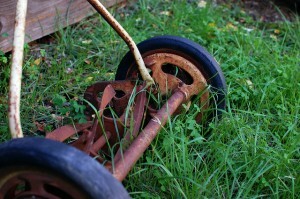 The D.C. Department of Employment Services’ youth division is expanding its free lawn cutting service, which started in Ward 5 last year. Supervised youth working D.C. summer jobs will mow lawns of any size. If you have an elderly neighbor or relative who could use the help, act quickly — the deadline to ask for this service is 5 p.m., Monday. Priority will be given to disabled seniors who live alone. Contact the Office of Aging at 202-724-5622 or DOES at 202-724-7000.